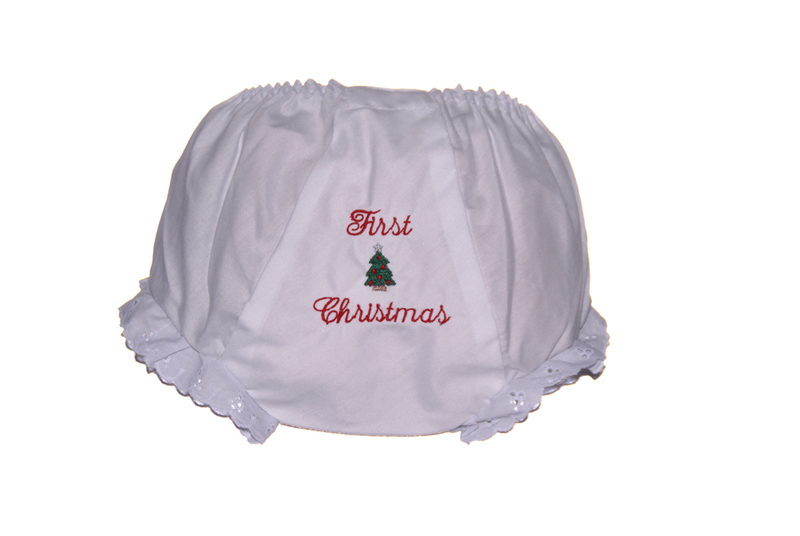 Christmas Bloomers are the perfect way to dress your little one this holiday season. 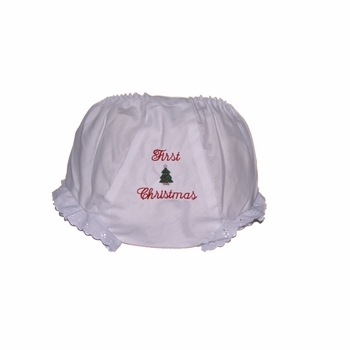 The white bloomers are adorned with a traditional tree design. 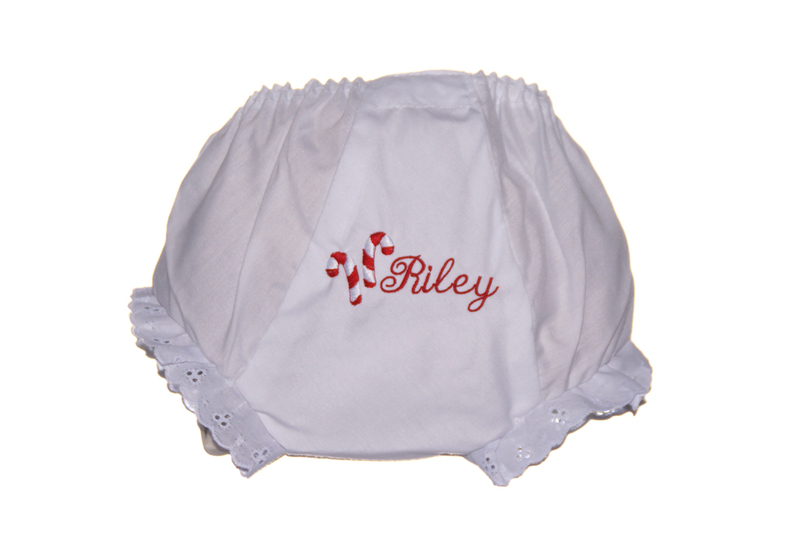 Just add your child's name to create a festive outfit.